Joy’s research program is focused on understanding and controlling production-limiting diseases affecting global aquaculture. Her research program has a strong industry focus on “real world” problems faced by fish farmers. 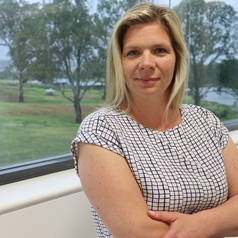 Her most important research contribution has been providing the scientific evidence that underpinned changes in Australia’s quarantine policy for exotic aquatic pathogens coming in with the trade in ornamental fish. Other key career achievements include development of a prototype parasite vaccine, new drug treatments for fish parasites, and novel diagnostic tests. Joy uses an array of investigative tools from a variety of disciplines, such as epidemiology, immunology, microbiology and physiology to research important aquatic pathogens affecting both aquaculture species and wild fish populations.